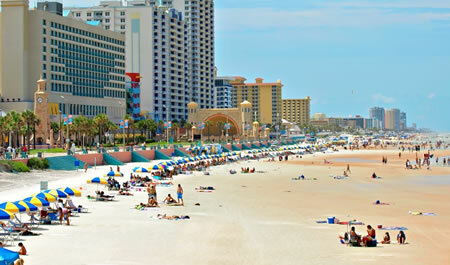 Florida is the sunshine state and the perfect destination to set up a business or just invest in. Be it real estate or tourism or construction or food processing or any industry, an investment in Florida could flourish. The state offers ample opportunities and is extremely tax friendly for investors. The climate, the geography and the economy are all highly suitable. The state has a huge population of baby boomers, who are the best steady target audience for a lot of businesses. Florida today is the fastest growing state in the country and is the number one investment destination. Transport facilities both by road and water are highly favorable. The state offers all services that an investment needs and helps multiply your capital in the best way there is. There are even some great tech incubators and research hubs in the state to assist investments. It has not only become a popular destination for the urbane-hep lifestyle, but also a great holiday and recreation destination. Apart from that, Florida has grown in many other segments and categories that make it a superb destination for investments. They say Florida is the Sunshine State and they very rightly say so. The temperature here varies between 81°F and 60°F which is mild and pleasant for a comfortable living. The state is mostly a peninsula, surrounded by the Gulf of Mexico, Atlantic Ocean and Straits of Florida on the three sides. Most of the land in Florida is low lying, the highest point in the state being at 345 feet above sea level. The state sits above vast amounts of limestone bedrock. The terrain is easy and comfortable. 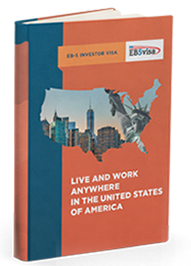 Florida is a geographically well-place and comfortable for investments and business to a very large extent. Florida is an economically sound and buzzing state. Florida is the 4th most populous state in the USA, has the 4th largest labor force and the 4th highest number of businesses in the country. It also has the 4th largest GDP among all the 50 states in the USA. In terms of the total employment of population in the high tech industries, Florida again stands 4th. It is the 5th largest producer of exported goods and the 9th largest recipient of FDI in the entire USA. Tourism plays a pivotal role in the economy, bringing in the major share of revenue. Tourism generates more than 1 million jobs per annum, and the state receives over 97 million tourists each year. The state is known for its citrus fruits. It produces 40% of the world’s oranges and accounts for 75% of the orange consumption in USA. It also produces best quality grapefruits, tangerines, market-ready corns and tomatoes. Cattle and dairy products as well as fisheries are important industries. Many defence and scientific research companies are also located in Florida. Construction is becoming a booming industry here and Miami is the centre of international trade. Florida offers a great quality of life. Owing to the budding tourism industry, the state has a lot of things to do and places to go to. There are umpteen beaches, club houses, watering holes, golf courses, world-class shopping destinations, restaurants, theatres, etc. The real estate market is great. 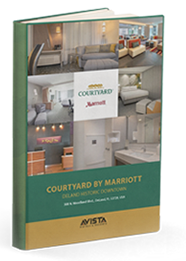 The housing as well as recreational facilities are ample and the amenities are really excellent in Florida. It is like living a lifelong vacation! Florida stood 4th on the number of high schools on US News and World Report in 2013. It houses the highest percentage of high school students taking the advanced placements test. Florida has a specific state university system and a Florida college system apart from public and private schools and institutions. The state is home to some very popular universities like the Florida State University, University of Florida, University of North Florida, University of South Florida, University of West Florida, Florida International University, etc. There are about 28 community colleges and state colleges in Florida. There are numerous good public and private primary and secondary schools in the state too. 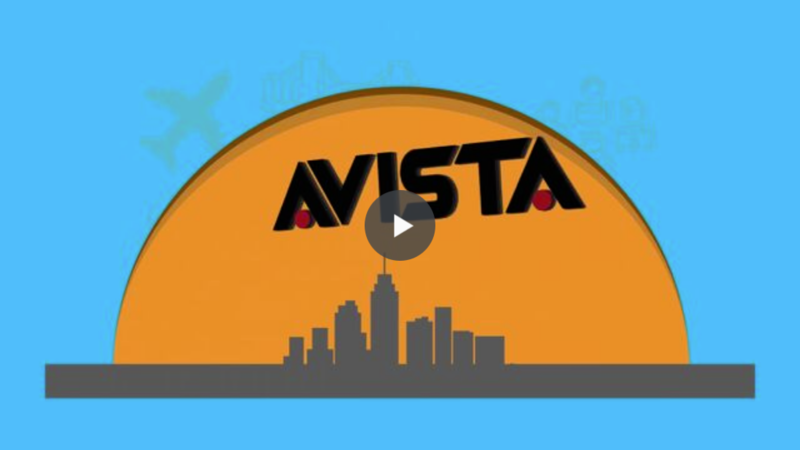 Every Florida resident lives within 50 miles of a post secondary learning institute. 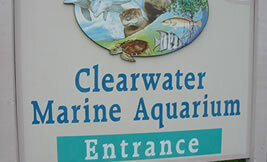 This marine aquarium is dedicated to rescue, rehabilitate & release sick & injured marine animals. The star of the hit movies – Dolphin Tale and Dolphin Tale 2 is housed in this very aquarium. You can find and come close to so much marine life here, that all the time spent here is unforgettable. 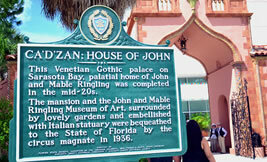 This state – of – the – art museum in Sarasota, Florida has been designated as the official state art museum of Florida and has one of the most preeminent art & cultural collections in the United States. They have rare collections and artefacts that are not worth a miss! This is the perfect place for fun family holidays. 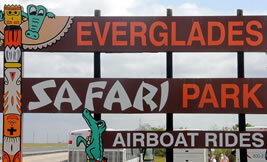 With live alligator presentations, food, souvenirs, fresh water fishing, airboat tours, etc. the entire family can have loads of fun here. Nearly three decades after being founded by George Bridges, this park serves as South Florida’s premier gateway to the state’s most exciting natural attractions and the best family holidays. Imagine swimming with bottlenose dolphins, feeding exotic tropical birds, playing with families of otters, and going snorkeling in the cleanest and the most beautiful waters while staying in luxurious private cabanas. 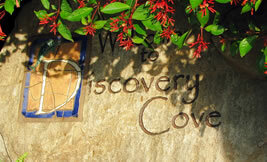 If this is your idea of the perfect recreation, then Discovery Cove is where you should be walking in. 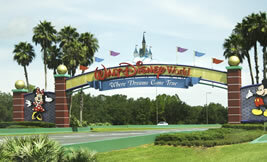 How could anyone forget the magical Disney World Theme Park? This theme park is the first ever Disney World to open up in the world, and everybody remembers the image of the Cindrella Castle that represents this park, as a symbol of recognition. Even if you are not a kid, you once were, and you are just bound to have fun here. 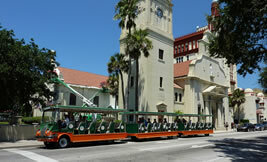 The St. Augustine district has been declared as a U.S. National Historic Landmark District. The town has over 200 historic buildings and is the oldest continuously occupied European and African American settlement in the U.S. The colonial feel of the town is more felt than seen, and gives an insight into the glorious history of the area. Sanibel is a popular tourist destination known for its shell beaches and wildlife a laid back community of shops, restaurants and recreational pursuits. 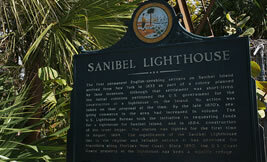 Incidentally, Sanibel happens to be the last tropical island in the United States. So visit it before it disappears too! Paying tribute to the great icon – Salvador Dali, this art museum is St. Petersburg, Florida houses the largest collection of the Dali’s works outside of Europe. The museum’s collection includes about 96 oil paintings, over 100 water colors and drawings, 1300 graphics, photographs, sculptures and objects d’art as well as an extensive archival library all related to Salvador Dali. 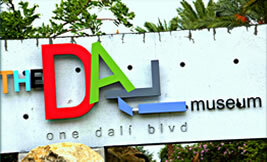 It is a paradise for all Dali fans, and one could take days to go through the collection in its entirety. 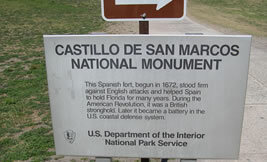 The Castillo is the oldest Masonry fort in the entire continental United States. It is not only a monument of human determination and endurance, resonating with the struggles of the times gone by, providing tangible evidence of America’s remarkable history. 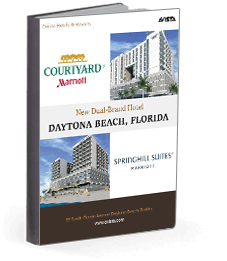 One of the most popular beach cities, Daytona is known for motor sports in restricted areas, owing to suitable terrain and soil, so much so that it is THE destination to go for motorsports. 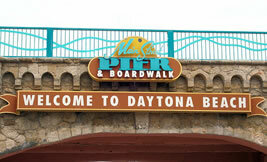 The beach entertains more than 8 million visitors each year. A lot of land-speed records in the world have been set on this beach. So let the adventure spirit in you come out and have fun here.